For some quiet time after tango: the beaches by Fort Bragg. On a recent flight from the East Coast to California I was sitting next to a top commander of the Coast Guard West Coast. He engaged me in a long and lively conversation about assignments that have taken him around the world, and how he and his wife — a modern and tap dancer — enjoy traveling and exploring. When I told him how my tango dancing has taken me to various places, a surprised look came over his face and he told me how they had just stumbled upon a ‘tango house’ in the middle of nowhere, on a trip up the Pacific coast to Fort — he couldn’t remember the rest of the name, so I finished it for him — Fort Bragg, the Weller House Inn. He looked even more surprised. Most of my tango friends in the Bay Area have been to the Weller House, I explained. Indeed, I might be the only member of the entire tango community between Portland and Los Angeles who has not been to a tango event at this historic mansion. The tango world is small, I went on coolly, news spreads quickly and tango people travel far to explore exotic and fun places. But inwardly I cringed, scolding myself for still not having been there. The Weller House Inn and its special tango events had long been on my list of destinations to visit. Somehow it had been easier for me to travel cross-country, and even beyond, than to take a three-hour drive from my Bay Area home up the coast. And now a stranger, completely unfamiliar with tango, had told me, almost in passing, that he had been there! A few days later I repacked my bags and set out on the scenic drive north on the Pacific Coast Highway. The stately, multi-storied Victorian mansion stands out like a monument in the otherwise unremarkable little town of Fort Bragg, and is hard to miss. I arrived in time for the Tuesday night tango lesson and practica which takes place in the house’s big ballroom. Vivien LaMothe, the owner, happened to be in the kitchen and welcomed me, immediately offering to take me on a tour. My lucky day, I thought! But less than half an hour into our private tour, Vivien broke some unexpected and sad news. We had barely covered the mansion’s ground floor, and I was still admiring the original woodwork and Victorian-style furniture of the guest rooms and the library, when she stopped in front of some historic photographs in the hall and looked me straight in the eye. “You know, it’s for sale,” she said gravely. I was flabbergasted. For sale? How could that be? A unique place like this? A most romantic inn with an historic ballroom? How can you let go of that? For a moment I thought she was pulling my leg. As we climbed the stairs to the impressive Virgin Redwood Ballroom on the top floor, she explained. But I had already begun to suspect the reasons for her decision to step away from this place — and my guess was right. The huge task of managing a nine-guestroom inn with another three guestrooms in the adjacent Water Tower, maintaining a historic building, and at the same time running a busy ballroom with different dance events six nights of the week had simply become too overwhelming for her alone. “Ideally,” she summarized, “there should be two couples running this place.” Meaning two couples who would split the responsibilities of the hospitality business downstairs and the dance studio upstairs. Felipe Martinez and Ayano Yoneda dancing in the famous Virgin Redwood Ballroom. Vivien has been successfully juggling all this ever since she took over ownership in 2011. During this time she also unexpectedly become the caregiver of her 93-year old mother, who had stepped in as her business partner until passing away in 2015. Understandably, she feels a bit burned out. Things looked a lot easier when she first became acquainted with the Weller House Inn and became its manager. She was bursting with ideas on how to tie the ballroom into the inn’s hospitality business. “On my first day at work,” she remembers proudly, “I already started a practica!” Hosting tango events at the Weller House Inn became a priority of her managing duties. Soon she established the regular Tuesday night tango lesson, taught by local teachers from the Mendocino tango community, followed by a practica. Then she went for bigger events, holding special tango weekends once a month with visiting teachers from all over the country and abroad. “I brought world-class dance teachers almost every month for a few years,” she recalls. The year 2011 was the peak when she printed and distributed 10,000 postcards. Looking at some of these postcards and flyers from the past eight years, I recognize many familiar names: Eduardo Saucedo, Melinda Sedo and Detlef Engel, Ney Melo and Jennifer Bratt, Murat Edemsel and Michelle Lamb, Facundo Posada and Christy Cote, and Chris Peake and Michelle Laughlin. Many of the nearby Bay Area instructors such as Felipe Martinez and Ayano Yoneda, David Orly-Thompson and Mariana Ancarola, Lisette Perelle, Glenn Corteza, and Nora Dinzelbacher have also been here to teach and perform, some of them several times. What else has made this remote location so attractive for teachers? She smiles, “The lure for the teachers is a nice double-room with a jacuzzi — and that it’s close to the ballroom!” Having just admired the guestrooms with their adjacent private bathrooms — some of them with hand-painted tiles and claw-foot bathtubs — I completely understand. When the opportunity came to buy the mansion in 2011, Vivien went for it. But then her focus shifted, and a major part of her time went into the maintenance and improvement of the house, the occupancy of the inn, and caring for her mother. And all this not to mention that she still has a teenage son. Her mother’s death at the age of 97 was a turning point. But even though she is now ready to let go and move on, she is still attached to various projects related to the house such as an extension of the dining room and finishing a guest suite in the Water Tower that has sweeping views. At the same time she wants to make sure to keep the Weller House’s role for tango and a broader social dance community alive. The Weller House Inn and Water Tower. 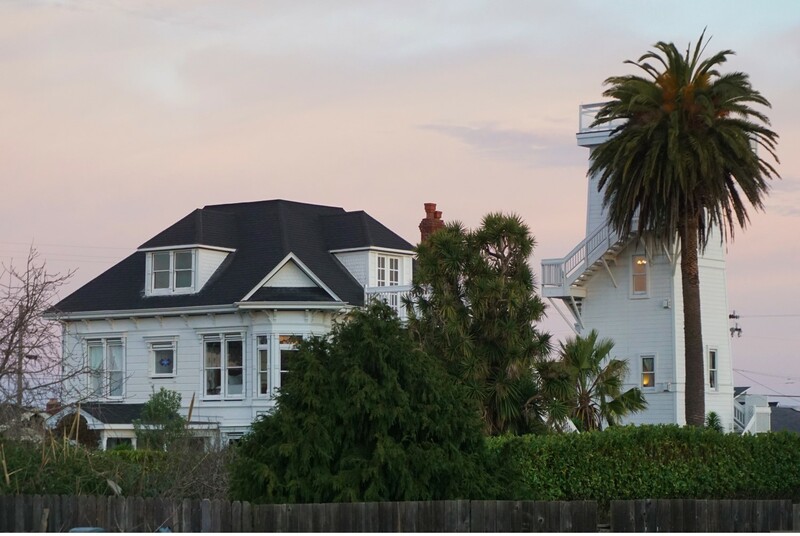 The events and ongoing activities at the Weller House Inn (affectionately called ‘Buenos Aires del Norte’ on its former website) have certainly contributed to the strengthening of the local Mendocino tango community. Vivien points to people’s active support in promoting and helping all sorts of events. As a result, Fort Bragg, commonly regarded as the ugly little sister of Mendocino, has turned into a surprising hot spot for tangueros. “We recently had new dancers coming from Chico,” she says proudly. “They got set up with local instructors and liked it so much that they come back in May.” And the number of regular dancers from the local community has grown. “We have more dancers per capita than Buenos Aires!” she laughs. She would still like to continue being a tango host, but at a different place and under different terms. Meanwhile, her focus is on finding a suitable buyer who is ‘dancer-friendly’ and willing to continue this new tradition. I have never heard of the Weller House, and I dance in the Bay Area. Where is it close to? Really fascinating post! I’m going to have to get a group of friends together and go explore it. Is it open for tours? 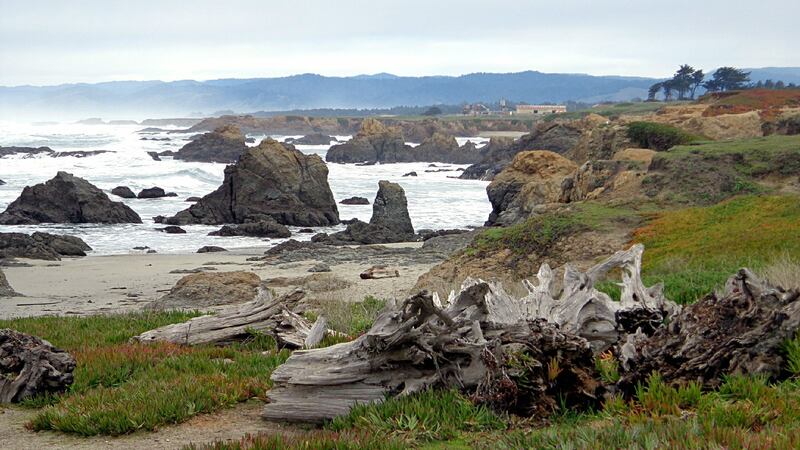 Weller House Inn is in Fort Bragg, just a few miles North of Mendocino. It’s a fully operating B&B, so you can spend the night and take a dance class in the evening.